We’re honored to have Tatiana, from Wonderland By Tatu with us today as a guest writer. Check out her blog for funny and informative posts about the “everyday bits and pieces” of parenting. 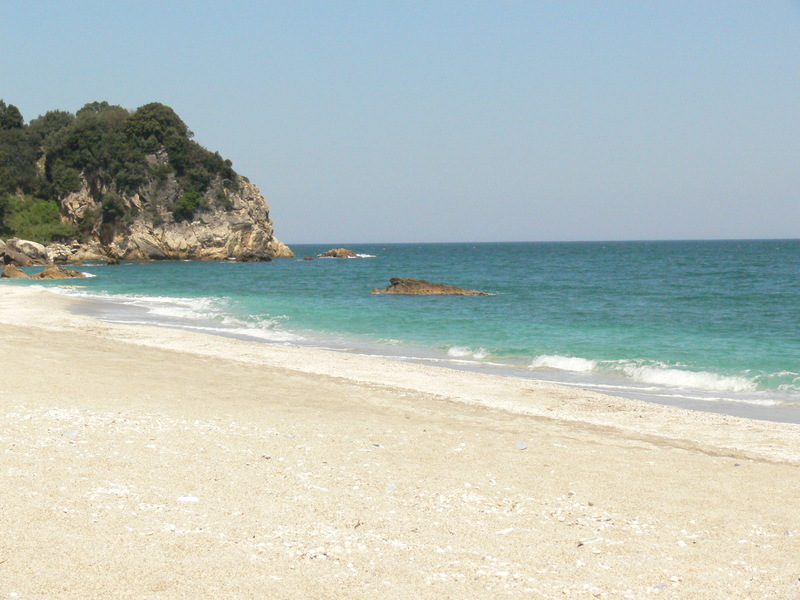 Continuing our theme of Greek holidays that started with our piece on Corfu, Tatiana takes us to Pelion, a marvelous-looking holiday destination. Thanks Tatu! I have a love/hate relationship with my country. After all I was born, raised, and have lived most of my life in Greece. My father is Greek, so that makes me half Greek (the other half is German which makes living in this country a bit challenging at the moment). One of the things I truly love about Greece is its potential to become the PERFECT travel destination. If you ever happen to find yourselves longing for a vacation with your kids where you can combine just a little bit of everything, Pelion (or Pilio) is the destination for you. Scenic mountain villages of stone, lush nature, amazing beaches with turquoise blue sea and spring waterfalls make this peninsula a year-round destination and one of Greece’s most beautiful and versatile mountain regions. You can go skiing in the winter, trekking in spring and autumn, and swimming and snorkeling in the summer. 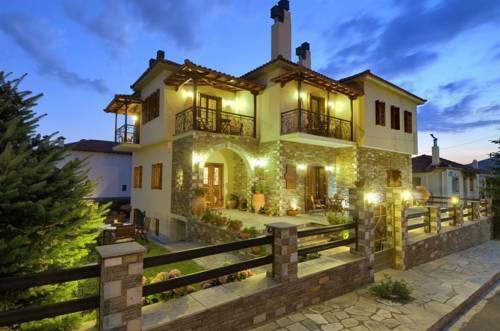 As I am lucky enough to have married N, who is lucky enough to have a mom who insisted some twenty years ago on building a house in one of the quieter villages in Pelion, I don’t really have the perfect family-oriented accommodation to suggest. 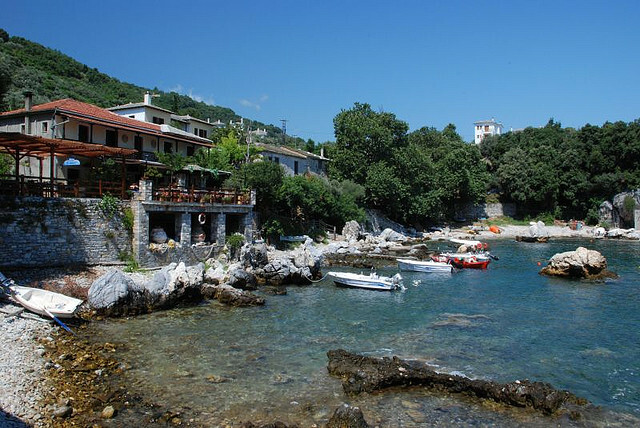 If, however, your kids don’t mind the one billion twists in the road driving up and down the mountain in order to get back and forth to the lovely beaches, then there is no place more stunning than Iatrou Guesthouse, in the village of Portaria. The owner is a lovely lady who tends to talk a lot, but if you have the patience she is an amphora of information about the area. The rooms are a mixture of traditional and modern, and the exquisite breakfast is brought right to your room. Iatrou is the best option if you chose to travel to Pelion in spring, autumn & winter, when you’re not dying to spend hours on the beach. A fantastic taverna with great local food can be found in the same village (Portaria) and is called Ortansies. In summer you can sit outside on the veranda, surrounded by the hydrangeas that give the taverna its name. Try the typical local dishes such as spentzofai (a sausage and pepper stew), gioulbasi (juicy lamb & potatoes cooked in parchment paper with lots of garlic & cheese), and tyrokafteri (a garlic infused cheese spread). 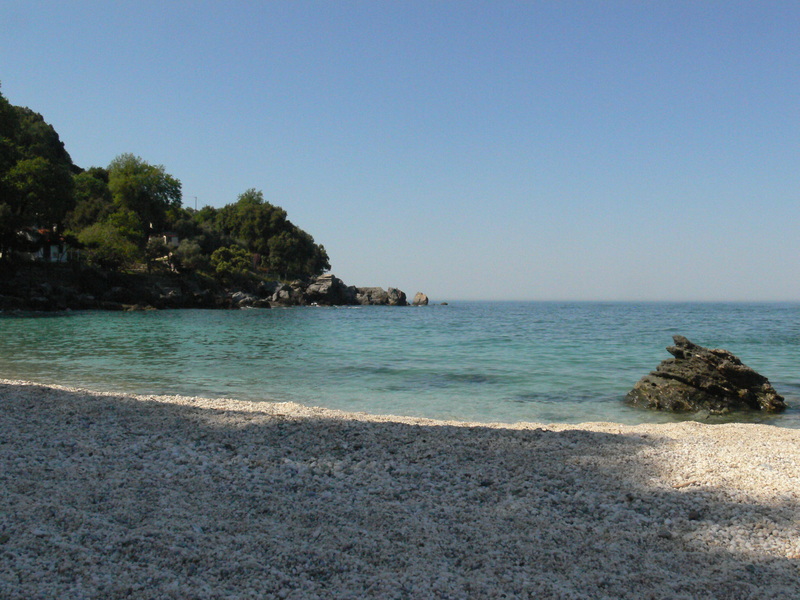 If you want to visit Pilio during summertime then it’s probably better to find accommodation on the other side of the mountain close to the vast variety of beautiful beaches. Agios Ioannis, Horefto, Papa Nero, and Damouchari (where part of Mama Mia was filmed) are amongst the most popular and busiest beaches. In July & August they tend to get overcrowded, and you may find yourself sharing the shade of a single umbrella with three additional families. And if they happen to be Greek, they’ll be loud. Fakistra is an absolutely breathtaking beach but not ideal for small children, as you need to park the car at the top of the hill and walk down a steep path until you reach the small stretch of beach. Great for couples (no, not in THAT sense) or parents with teens. It used to be our favorite beach in our pre-kid lives, but our first summer as parents with a 10 month-old proved to be more challenging than originally thought. We still believed that we NEEDED a whole lot of useless beach accessories, and I would carry Yianni in my sling and N would cart all the rest, looking more like a Greek donkey than a happy and stress-free dad. Nowadays our priorities have shifted from spending the whole day on a secluded beach to spending half a day on an easily-approached, crystal clear, child friendly beach, and Ag. Saranta has the unique advantage of accommodating all tastes. There is small beach bar at the one end, sunbeds and umbrellas in the middle and nothing but pure white sand and blue waters at the other end. If the crisp sea air makes you hungry, there is a taverna where you can eat fresh fish, salads, appetizers and home cooked stews at decent prices (the laid back approach is needed here as you might need to wait some time and the owner is not the friendliest person on the planet). 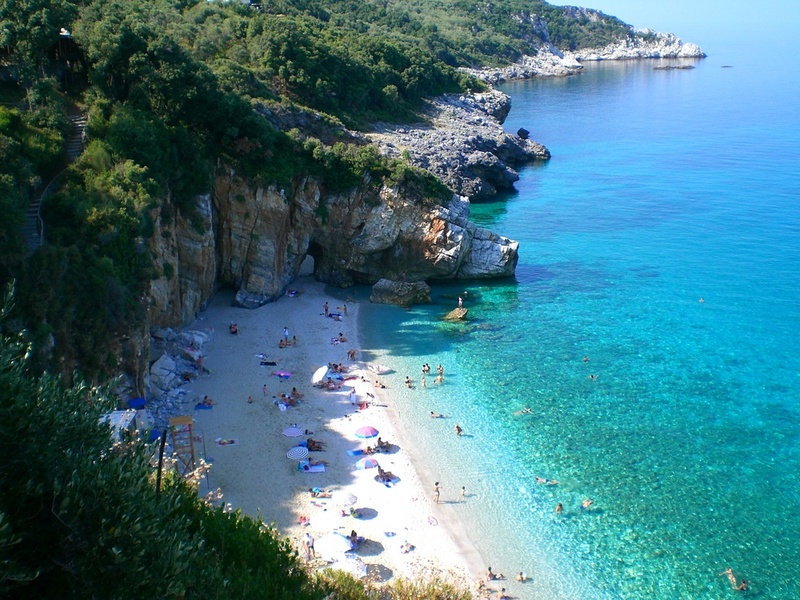 Another beautiful beach that’s ideal for kids is Plaka, right under the hotel Eden. I’ve never stayed at the hotel, but I can promise you that the beach is one of a kind, the white sands backed by dense green forest. It is one of the safer options when it gets windy on that side of Pelion. If you are like us and want easy access to the beach, then grab parking at the hotel for 6 EURO/day, two complimentary alcohol-free drinks included. If you have spent your entire day on the beach of Plaka and haven’t had anything proper to eat, drive up to the very picturesque and lushly green village of Kissos, where you can indulge in delicious, hearty and intensely-flavored local dishes. No matter where you decide to stay, at one point or another you will drive down from the top of Mount Pelion, home of the mythical centaurs, towards the port of Volos. If you appreciate honey as much as we do, I suggest you find the time to stop at the biological family farm Koumoutsi, where you can taste a variety of excellent honey and other local products. 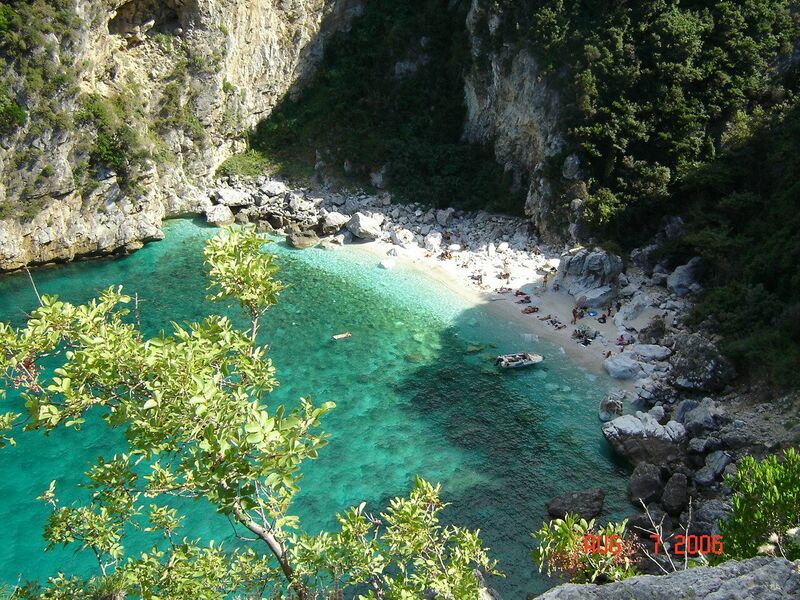 I fell in love with Pelion a few years before I met N.
I fell in love with N in Pelion. My kids fall in love with Pelion each time we go there. There’s a lot of love in this place. Well I have been numerous times in Pelion, but I have loved every single one of them. Just came back from Plaka and Damouchari today. Fell in love again…. Well that’s cryptic. Please elucidate, spambot. As a fellow Pelio-lover who has made that place a second home, I have to say this post is dead on. Well done Tatu! Sounds like a beautfiul place. YOU SHOULD! the absolute best time to visit is the end of May, beginning of June!! thanks a lot for giving me the chance to write a guest post for Field Notes from Fatherhood! You bet, Tatu. Thanks for writing such a great post!